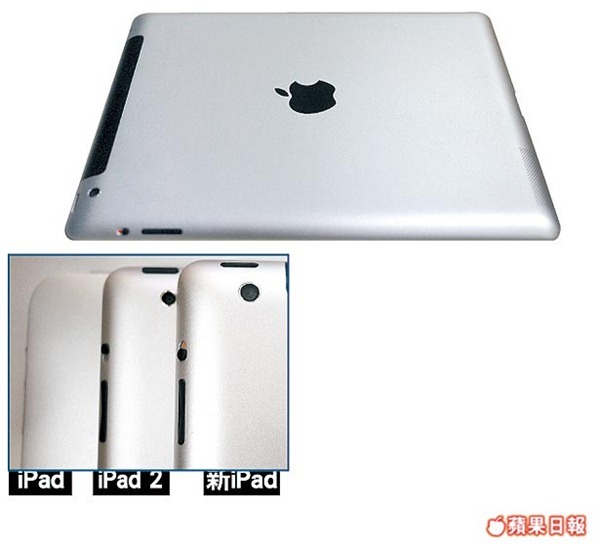 Leaked Images Of iPad 3 Reveal More Tapered Edges And A Rear 8 Megapixel Camera? 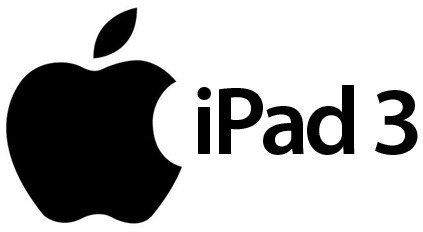 With the rumors still holding strong that the iPad 3 announcement event will happen on March 7th, the tension and excitement surrounding the proposed design and technical specifications of the new tablet is growing ever stronger. We all know that Apple product announcements are big news, but with the iPad growing in stature and popularity, the public attention for this launch is set to be at an all time high. As the proposed announcement data draws closer, it seems that more information is being leaked which supposedly provides insight into the design of Apple’s new tablet device. Today is no different, with the Apple Daily website posting an article featuring images which they claim have received through unnamed special channels. The published image show a birds eye view of the rear of what they claim is the new iPad 3 tablet. The article features an image which is made up of the first generation iPad, the iPad 2 and the alleged iPad 3 which aims to provide a comparison between the slight change in form between the three. The actual shell of the device shown in the image should not come as a surprise to anyone, as it draws a striking resemblance to previously published photographs on the tablets case. However, this new image which has emerged in taking in drastically improved lighting conditions and shows the the Apple logo quite clearly as well as the camera enclosure in the top left which is rumored to be home to a new 8 megapixel camera. The photograph doesn’t bring any drastic changes to design to our attention, but it does show a notably exaggerated taper around the edges of the tablet which cause the camera itself to actually be embedded within that taper. We aren’t sure if the larger tapered area is required for any functional reasons or if it is simply a design change, but it will give the iPad a more prominent look when viewed in profile. The comparison image which shows all three generations of the iPad shows the iPad 3 camera lens to be noticeably larger than its predecessor which could fall in line with rumors that the iPad 3 will feature a significantly improved 8 megapixel camera which would be a welcome upgrade from the current 1 megapixel offering. Additional speculation relating to the Retina display, as well as a quad-core CPU and the March 7th announcement date seem to be holding strong which when put together with the new camera and aesthetic changes should make for a very impressive device. The leaked images do seem to tally up with reports from other, more reputable sites which means that we have no reason to doubt their legitimacy. However, with the event being only seventeen days away, it won’t be long until we see the device in all its glory with our own eye. Will there be "One more thing’?. I hope so.